Take advantage of financing offers starting at 1.99% for 36 months1 or 4.99% APR for 36 months with no payments and interest for 6 months3 on all MY18 and MY19 models. On MY20 we are offering 5.99% APR for 36 months4. 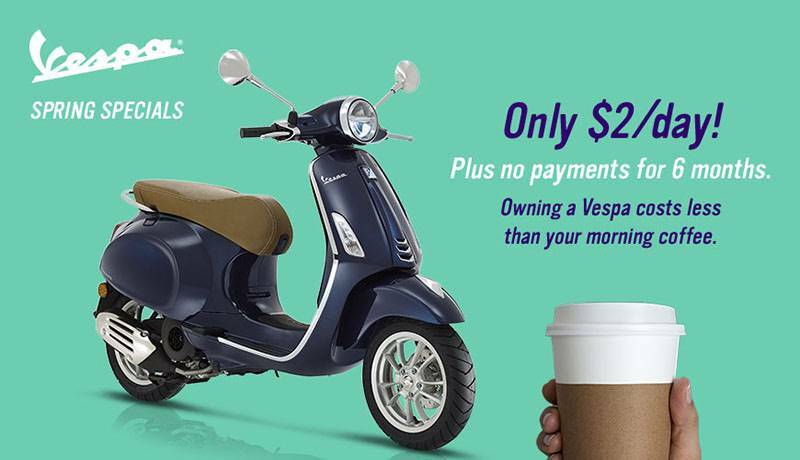 You can get your new Vespa scooter for only $2.00 per day5, that’s less than the cost of cup of coffee!